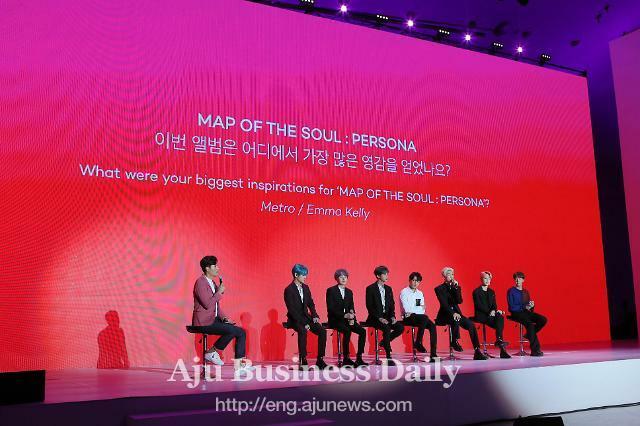 SEOUL -- Popular American DJ Steve Aoki made a surprise announcement through Twitter on fresh collaboration with BTS, soon after the K-pop sensation was decorated with glorious medals for promoting Korean culture to young foreigners worldwide. "Surpriseeee we're back! got a new collab w/ my brothers @BTS_twt coming at u tomorrow!!" the 40-year-old electro-house musician tweeted, triggering curiosity among fans. 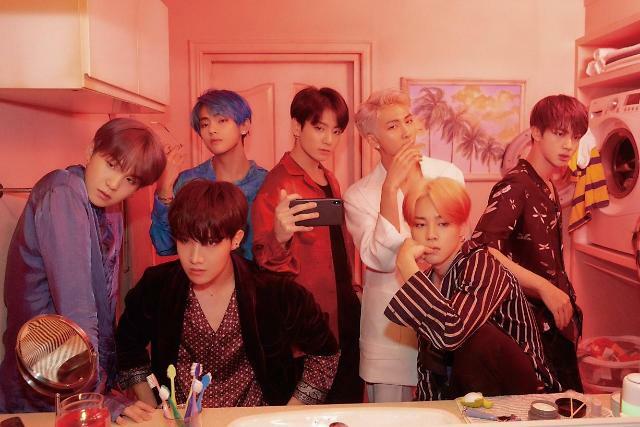 Billboard fanned curiosity in a report: "The lyrics heard so far are in English, potentially setting "Waste It On Me" to be BTS’ first song entirely in the language." The American Music magazine said Aoki's team confirmed that "Waste It On Me" would be included in "Neon Future III", a new album to be released on November 9. "Probably this song will be a full English. So, we are going to hear Namjoon, Hoseok, and Yoongi rap in English!!!" said wasteitonmeee, the user of a fan-made Twitter account. It is common to see international BTS fans singing along in Korean because the group has no full English songs. Enthusiastic fans learn Hangul, the Korean alphabet, to study the lyrics of songs. When a new song is released, fans translate it into many different languages in mere minutes. 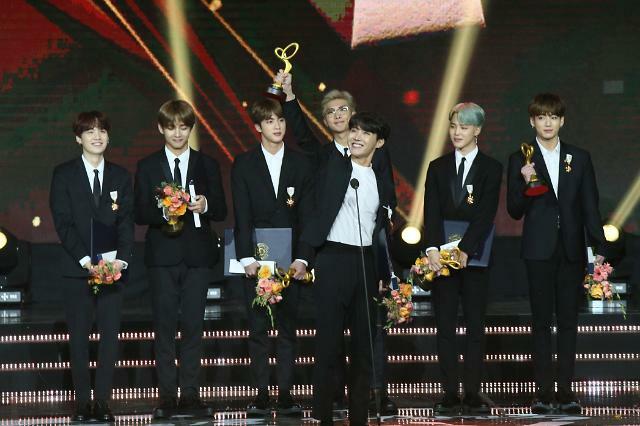 BTS returned home Wednesday after a 52-day concert tour of the United States and Europe to receive the Order of Cultural Merit medals awarded for "outstanding meritorious services" in the fields of culture and art. The group will resume its "Love Yourself" tour in November with concerts in Asia. BTS received Hwagwan (flower crown), the fifth class of the order, in a ceremony at the Olympic Hall in Seoul. "Korean pop culture has given people around world fresh and new cultural shocks," Culture, Sports and Tourism Minister Do Jong-hwan said. BTS members are the youngest to receive such medals. Supported by more than 11 million international fans, BTS has opened a new chapter in South Korea's music history by taking the No. 1 spot in Billboard 200 chart with its two albums --"LOVE YOURSELF: Tear", released in May 2018, and "LOVE YOURSELF: Answer", released in August. Although the potential of K-pop was proven six years ago when rapper Psy overwhelmed the world with his onetime hit song "Gangnam Style", it wasn't easy for K-pop acts to capture the hearts of foreign fans, especially with songs written in Korean. 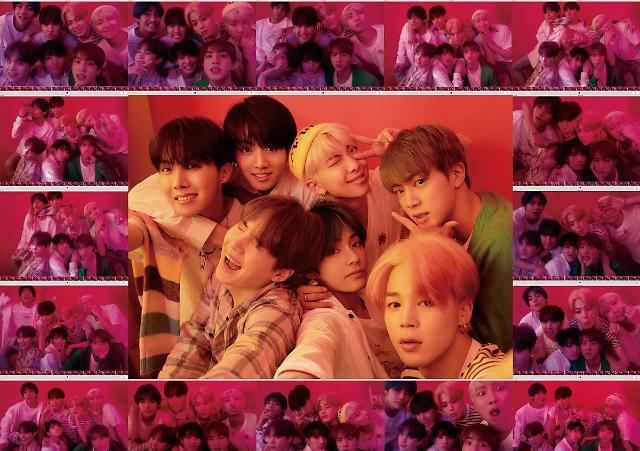 BTS has carefully rolled out a strategy to build up a sincere, hardworking image backed by beautiful songs and performances. Group members formed an emotional bond with fans by actively communicating through social media. The boys also captured fans and other music lovers with a ballistic level of choreography which would be some sort of a culture shock for many foreign fans as they carry our hard performances while singing and rapping live. The BTS fever has brought a positive effect to the international K-pop scene, prompting foreign music fans to take an interest in other K-pop bands such as NCT 127 and Got7.